The O3+ Chamomile Hydrating & Soothing Cooling Masque acts as a lightening and moisturising emollient on the skin as it gently glides over it. 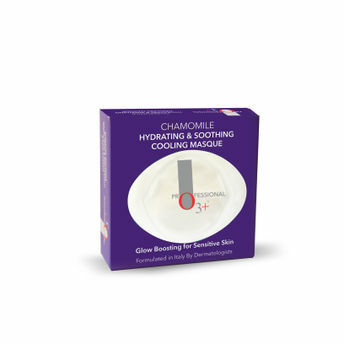 This jelly like mask gives an instant brightening and hydrating effect on dehydrated & dull skin. Some of the many benefits of Chamomile Flower include anti-inflammatory, anti-bacterial, hypoallergenic, calming and de-congesting.